The Simpsons: the family that has kept us laughing for the last 25 years, is now making out of the fashion trends a big joke, thanks to the collaboration with the Converse brand. 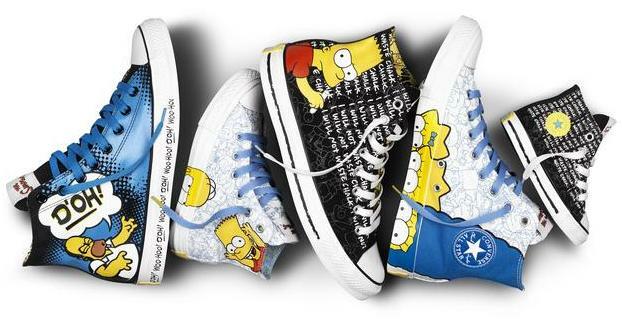 The Simpsons: la famiglia che ci ha fatto ridere per gli ultimi 25 anni, sta ora facendo delle tendenze di moda un grande scherzo, grazie alla collaborazione con il marchio Converse. 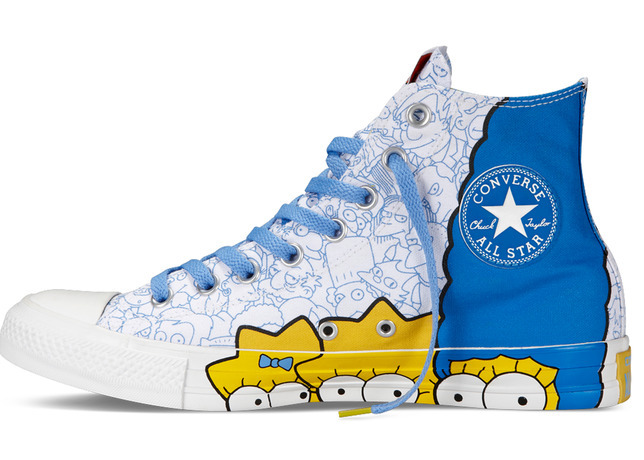 The Simpsons Chuck Taylor All Star Collection features colorful screen printed graphics of the show’s characters Homer, Marge, Bart, Lisa and Maggie with styles available for fans of all ages. 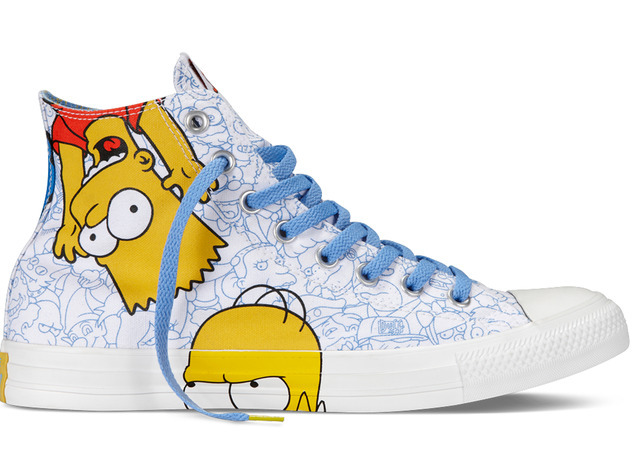 La Collection The Simpsons Chuck Taylor All Star dispone di una colorata grafica stampata con i personaggi della serie: Homer, Marge, Bart, Lisa e Maggie, con stili disponibili per i fan di tutte le età. 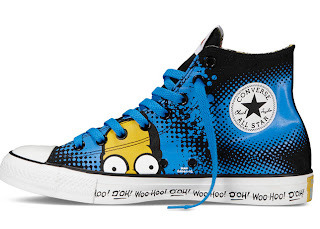 Available for men, the Homer sneaker includes a blue and black background, accented with Homer exclaiming “D’oh!” on one side of the shoe, and “Woo Hoo!” on the other. 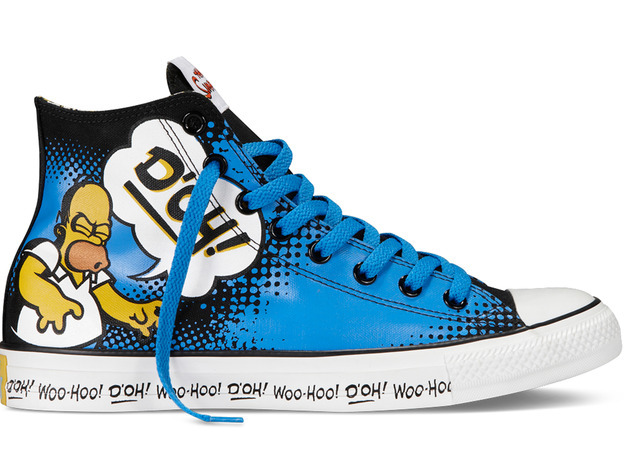 Disponibile per gli uomini, la sneaker Omero include uno sfondo blu e nero, accentati con Omero esclamando: "D'oh!" 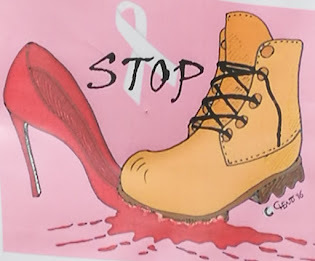 Su un lato della scarpa, e "Woo Hoo!" Dall'altro. Available in children and adult sizes, the Bart sneaker features Bart writing, “I will not waste chalk,” on a black background resembling the notorious Springfield Elementary School chalkboard, accented with a bright yellow inside lining. Disponibile nelle taglie per bambini e adulti, la sneaker Bart con la scritta, "Non sprecherò il gesso" Bart Caratteristiche del di scrittura, , su uno sfondo nero che assomiglia alla famigerata scuola elementare di Springfield Scuola lavagna, accentati con un brillante giallo fodera interna. The Family sneaker showcases all members of The Simpsons household depicted in their iconic likeness the world has grown to love. 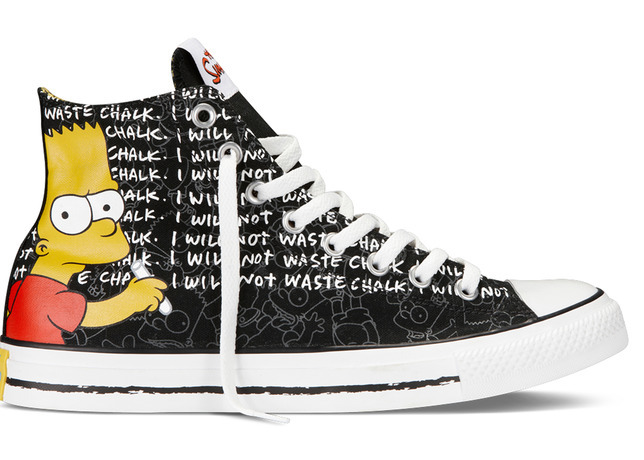 La sneaker Family mette in mostra tutti i membri della famiglia Simpsons raffigurati nella loro somiglianza iconica che il mondo ha imparato ad amare. The Simpsons Chuck Taylor All Star collection is available at Journeys (Journeys.com) and Converse retail stores (Converse.com) price from $37 - $65. 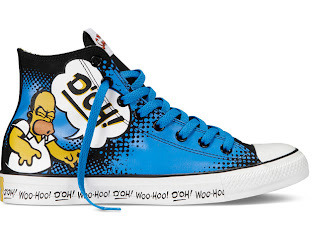 The Simpsons Chuck Taylor All Star Collection è disponibile presso Journeys (Journeys.com) e negozi al dettaglio Converse (Converse.com) prezzo da $ 37 - $ 65.